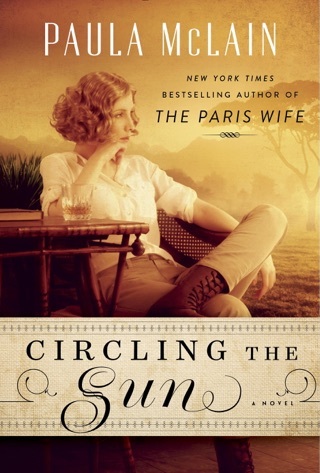 An instant national bestseller, this stunningly evocative, beautifully rendered story told in the voice of Ernest Hemingway's first wife, Hadley, has the same power and historical richness that made Loving Frank a bestseller. No twentieth-century American writer has captured the popular imagination as much as Ernest Hemingway. This novel tells his story from a unique point of view - that of his first wife, Hadley. 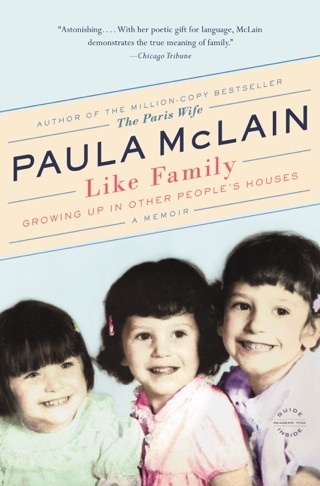 Through her eyes and voice, we experience Paris of the Lost Generation and meet fascinating characters such as Scott and Zelda Fitzgerald, Gertrude Stein, Ezra Pound, and Gerald and Sara Murphy. 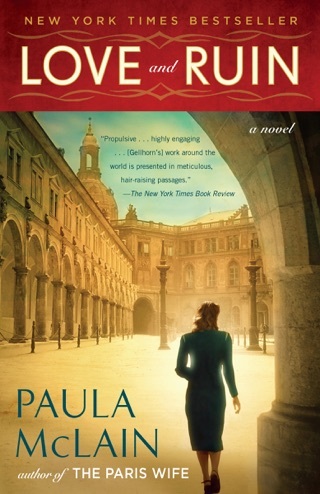 The city and its inhabitants provide a vivid backdrop to this engrossing and wrenching story of love and betrayal that is made all the more poignant knowing that, in the end, Hemingway would write of his first wife, "I wish I had died before I loved anyone but her." 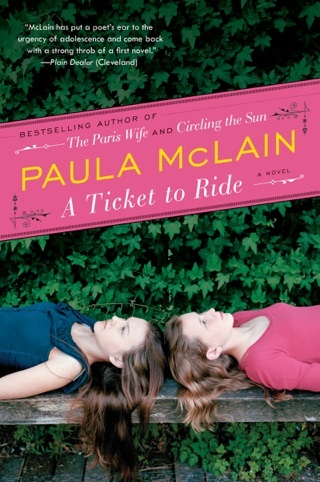 McLain (A Ticket to Ride) offers a vivid addition to the complex-woman-behind-the-legendary-man genre, bringing Ernest Hemingway and his first wife, Hadley Richardson, to life. Meeting through mutual friends in Chicago, Hadley is intrigued by the brash "beautiful boy," and after a brief courtship and small wedding, Hadley and Ernest take off for Paris, "the place to be," according to Sherwood Anderson. McLain ably portrays the cultural icons of the 1920s Gertrude Stein and Alice B. Toklas, Zelda and Scott Fitzgerald, and Ezra and Dorothy Pound and the impact they have on the then unknown Hemingway, casting Hadley as a rock of Gibraltar for a troubled man whose brilliance and talent were charged and compromised by his astounding capacity for alcohol and women. Hadley, meanwhile, makes a convincing transformation from an overprotected child to a game and brave young woman who puts up with impoverished living conditions and shattering loneliness to prop up her husband's career. The historical figure cameos sometimes come across as gimmicky, but the heart of the story Ernest and Hadley's relationship gets an honest reckoning, most notably the waves of elation and despair that pull them apart. 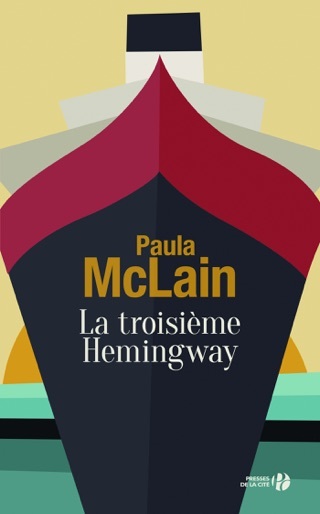 Paula McLain has expertly written an account of Ernest Hemingway’s-Hadley Richardson’s marriage. It is heart-wrenching, beautiful and tragic in equal measures. Her book probes the devotion and undying love Hadley showed for EH until the tragic final curtain. 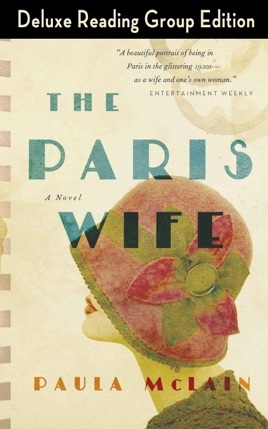 It is a wonderful expose of life in Paris in the roaring 20’s, the characters and the events are brought to life very nicely. Based on factual research, Ms. McLain has written an accurate account that I am very sure Hemingway himself would be proud of.